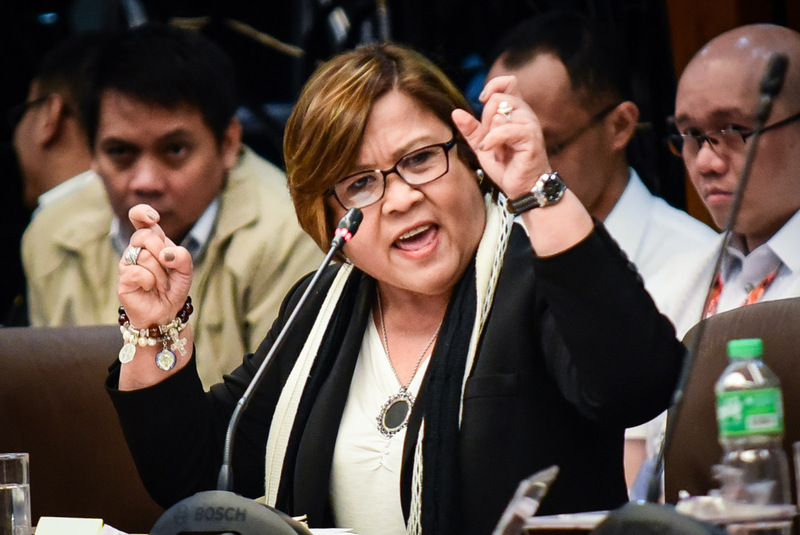 Contrary to the claims of President Rodrigo Roa Duterte’s critics, bashers and opposition, it was the law that the Liberal Party member and former Justice Secretary Leila De Lima issued back in 2015 that bans the foreign activists in the Philippines and NOT the President’s so called “desire to silence criticism“. Yet it seems that the affected party would rather keep their ears shut from the Roque’s reiteration and eyes blinded from the actual law. Communists and the Philippine Opposition, the Liberal Party, alike are still protesting against the actions of the government in “silencing them” when in reality it is clearly the law, the judiciary side and not the legislative government that’s bringing them down. It is incredibly shameful to protest without getting the facts straight but what can we do when most of the protests facts have been twisted and manipulated to support the cause of the Opposition and communists alike. A copy of Operations Order no. 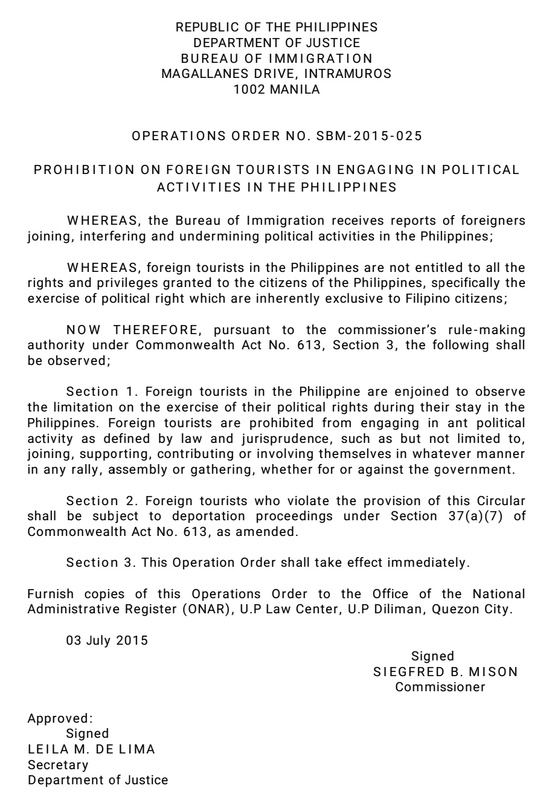 SBM-2015-025 that was downloaded from the Bureau of Immigration can be viewed below.